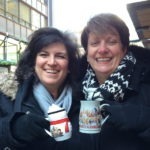 Holiday Treasure Cookies - Ambassadors of World Food Tourism. Share your favorite cookie recipes this holiday season. The holidays are a wonderful time for baking treats. One of our favorites to share is this easy and delicious recipe for holiday treasure cookies that each come with a secret hidden delight. My mother used to make these every holiday and store them in coffee cans in the cool cabinet in our kitchen. Being the organized German that she was, she took weeks to make dozens of Christmas cookies to share with family and friends. I have to admit that I would sneak into the cabinet and steal a few. I’m sure the tell-tale sign of the powder sugar trail gave me away every time. She never scolded me because she knew they were my favorites and still are to this day. These wonderful treats have a crumbly, buttery outside hiding a delicious and surprising chocolatey burst inside. You can use any flavor of chocolate kisses you like or mix and match to enhance the surprise. I grew up with the standard milk chocolate Hershey kisses but now I prefer the dark chocolate kisses. Holiday and specialty flavor kisses would work well too. We hope you try this recipe and it becomes one of your family’s favorites too. Cream sugar, salt, butter and vanilla together. Add flour and blend until mixture becomes completely incorporated into a dough (Note: this does take quite a while, at least 10 minutes or so). Refrigerate the dough for 2 hours until quite stiff. While dough is chilling, unwrap the kisses. When dough is thoroughly chilled, take spoonful and wrap all the way around a kiss. When kiss is totally enveloped, roll dough in your palms (like a meatball) to shape into ball. Place on ungreased cookie sheets. Repeat until all dough/kisses are in balls. Bake 12-15 minutes or until dough is no longer gummy and bottoms are slightly golden. Cool slightly on cookie sheet, then place on rack to cool entirely. Meanwhile, put confectioner’s sugar in a large bowl. 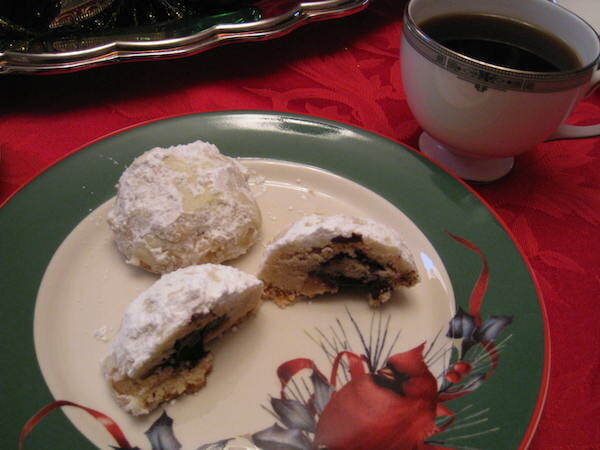 When cookies are cooled, roll in confectioner’s sugar to coat. When you have finished all the cookies with one coating, repeat so that each cookie has 2 coats of confectioner’s sugar all around. Holiday Treasure Cookies the surprise is a chocolate kiss inside! We hope you enjoy these little treasures. 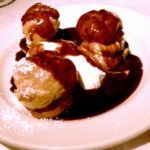 Watch out for the powdered sugar – it’s a bit messy but worth it! 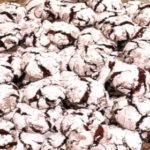 If you’re looking for another terrific holiday cookie check out these Easy Chocolate Crinkles. 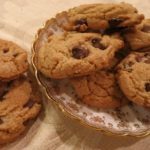 THE QUICK BITE: If you’re looking for a new holiday cookie recipe try the Holiday Treasure Cookie. There’s a chocolate surprise in every cookie. They’re sure to be a new family favorite. Hi Johanna, thanks for stopping by hope you enjoy the cookies! Hi Anita, I love that you used coffee cans too! Hope you enjoy the recipe. Happy Holidays! Thanks for this recipe. Can’t wait to try it. Those look really tasty. 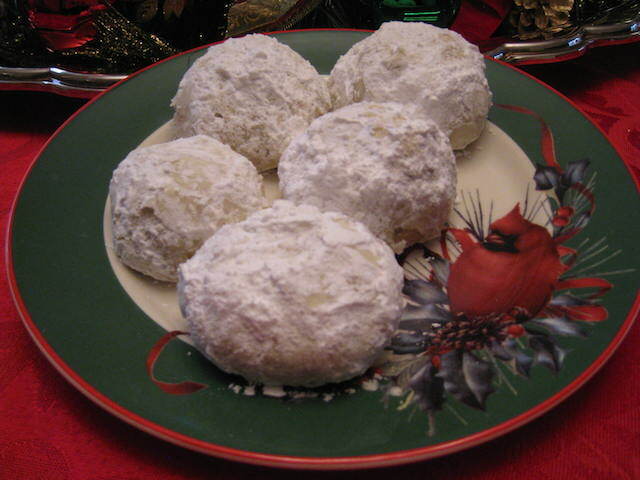 Pfeffernusse are one of my favourites, http://www.acooknotmad.com/2013/12/world-cookies.html delicious with tea. 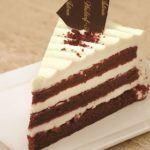 I love pfeffenusse too. Thanks for sharing your recipe, we’ll have to try it. Happy Holidays! Cream Cheese Sugar Cookies http://www.bhg.com/recipe/cookies/cream-cheese-sugar-cookies/ My secret to these is instead of the 3 oz pkg of cream cheese, I use an 8 oz pkg. =:-O They’re easy to cut out and decorate with royal icing. Now that we’re traveling, I haven’t made them in several years. I look forward to getting together with my daughter again someday and reverting to our annual tradition with these. Hi Betsy! We’re always looking for a good sugar cookie recipe. Thanks for stopping by happy holidays!